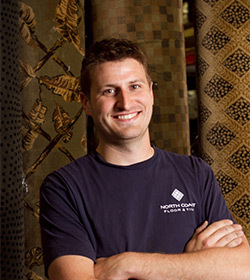 From our humble beginnings selling and installing carpet remnants out of a small garage 24 years ago, to a now multi-faceted company which offers high quality installations with experienced in-house crews, and knowledgeable staff, North Coast Floor & Tile, formally known as Carpet Express, has never strayed from it’s simple core value instilled in us by founder & owner Joe Marvel, “the best interest of the client always comes first.” We continually strive to serve our community through our services as you are our neighbors, our children’s teachers, our local grocery cashier, our barista’s, our fellow trade’s people. 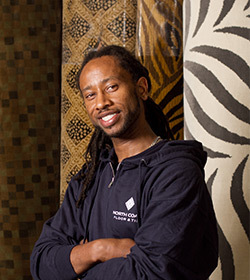 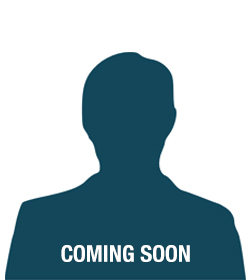 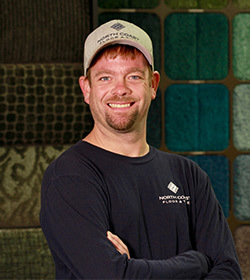 Jason comes from a family embedded in the flooring industry. 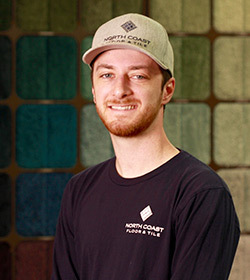 Having over 10 years of installation experience on projects ranging from commercial to residential has provided Jason with the hands-on knowledge that is utilized by him and his staff daily. 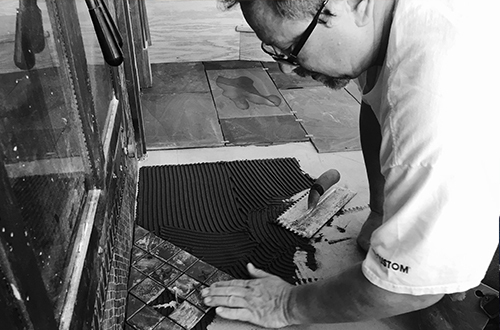 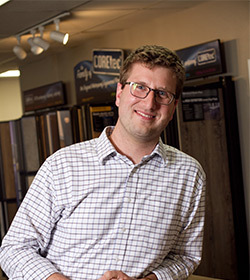 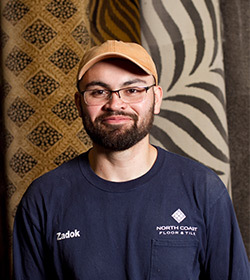 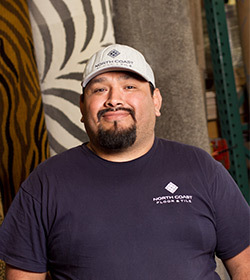 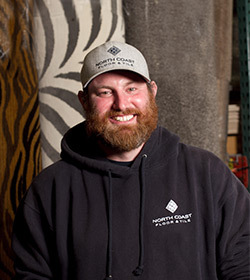 Jason’s faithful approach to customer service, and his steadfast leadership and professionalism provide the guidance you need in selecting your flooring. 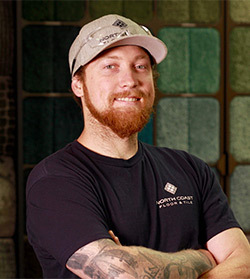 Jason is at the forefront of new techniques, materials, and technology. 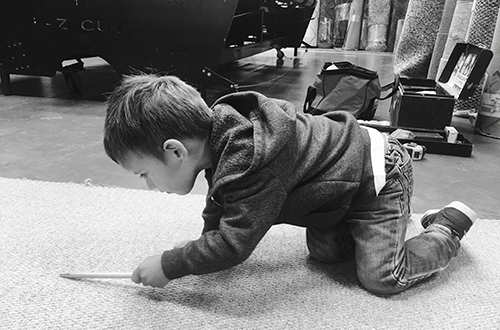 Legend has it, Jason was born with a multi-tool in one hand and a hammer in the other. 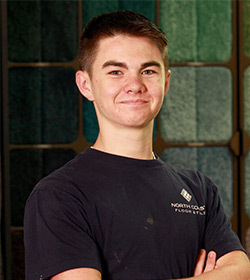 If excellence had a picture in the dictionary, it would be of Jason even before he knew how to read. 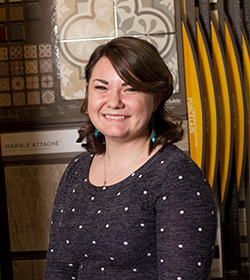 Miranda has been with the company for only five years, but her expansive knowledge of production and ability to coordinate with other trade’s people makes Miranda vital to our company. 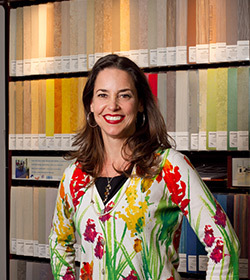 In addition to her fluid comprehension of flooring, Miranda has a knack for style, color, design, texture and the ability to coordinate beautiful installations. 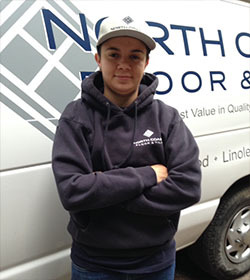 Abigail is the newest member to the North Coast Floor & Tile family having joined us in 2016. 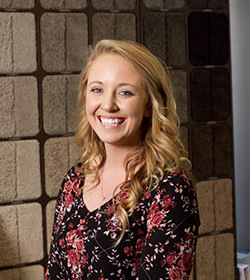 Although new with the company, Abigail is familiar with the construction industry from her previous position and looks to further her knowledge in flooring. 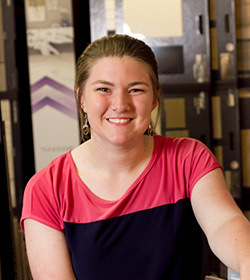 Her amiable personality and approach to style and design makes Abigail a great resource and consultant. 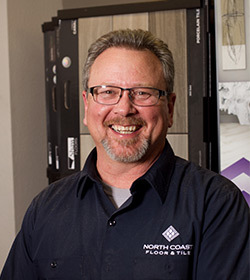 Stop in at North Coast Floor & Tile and you are sure to be greeted warmly, because Kerry is truly happy to see you. 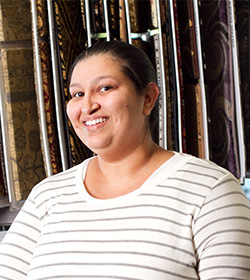 Her broad experience in the building and fashion accessory industries makes Kerry a truly valuable member of our team. 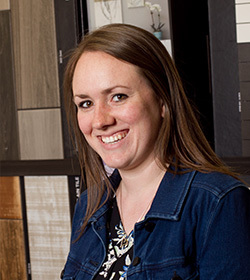 She enjoys working with all types of flooring, styles, and colors, making your home feel like the sanctuary that it should be. 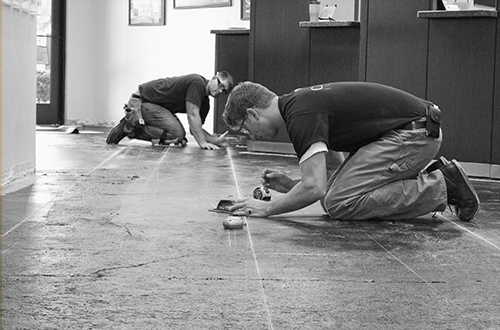 From the beginning stages of your project, to making sure that you are satisfied with your final choice and installation, Kerry is here to help you through the entire process.